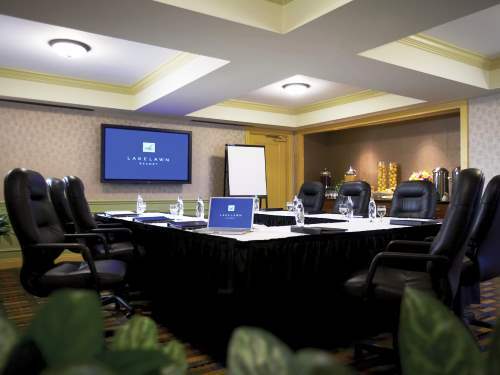 Lake Lawn Resort has been host to a wide array of corporate meetings, state associations, executive retreats and family reunions. 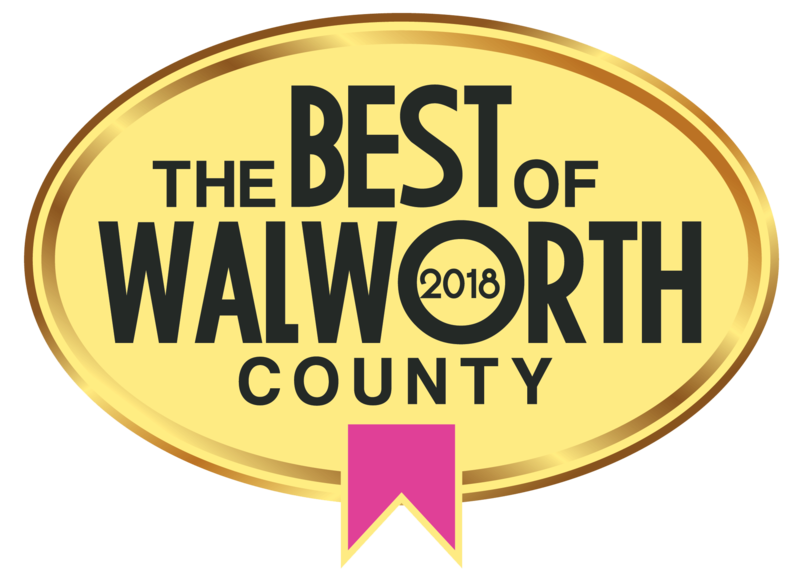 The resort is centrally located in Southeastern Wisconsin and is only 90 minutes from Chicago, 50 minutes from Milwaukee and Madison. Our 32,000 square feet in 22 meeting rooms of adaptable and flexible meeting space can provide groups of up to 500 the perfect setting for your meeting or event. 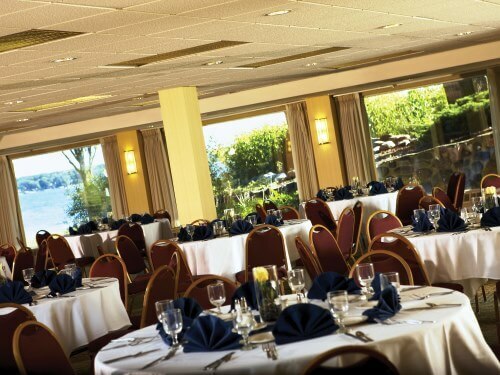 Click here to download our complete Meeting & Banquet Room Capacities. 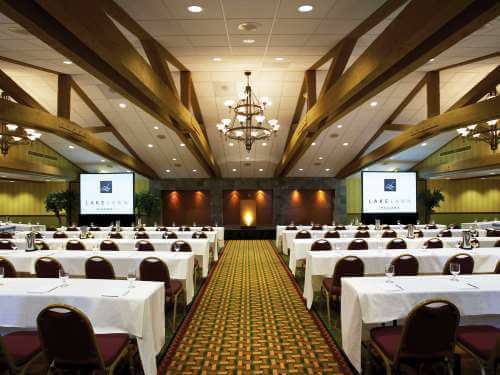 The Geneva Ballroom is our largest meeting space ideal for up to 500 people and divisible into 3 sections. 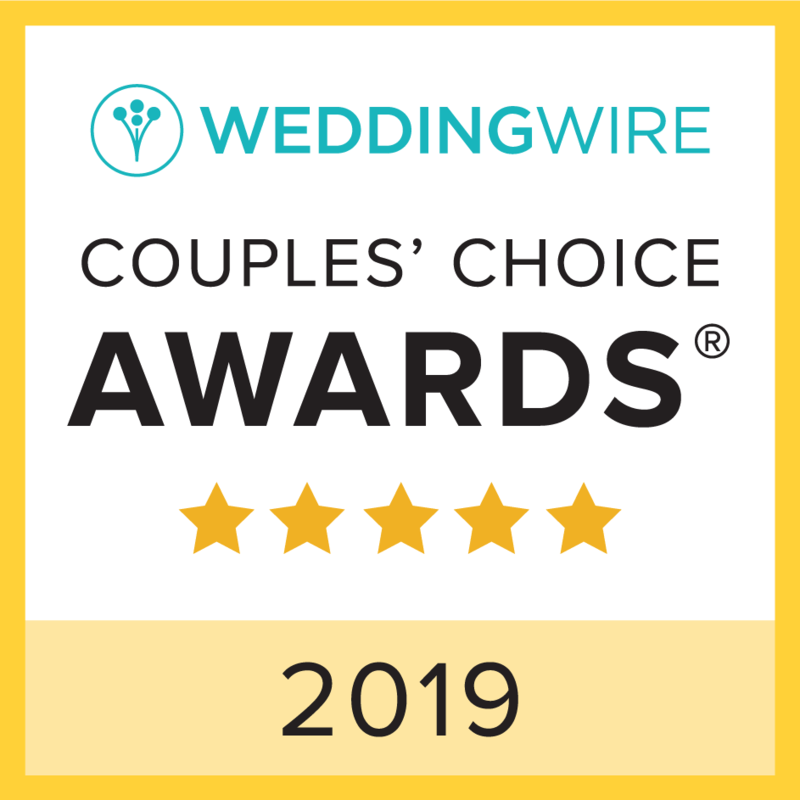 The windowed Upper/Lower Pre-function area offers an additional 2,000 square feet overlooking the Courtyard Garden and the Inner Courtyard with Delavan Lake glistening in the background. 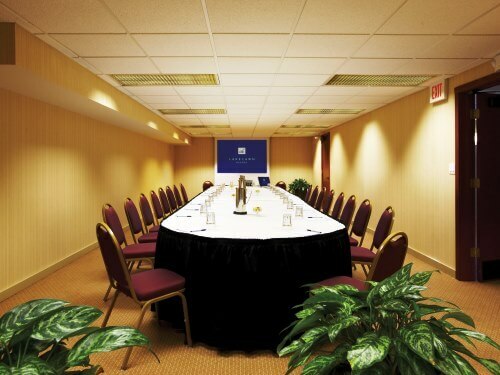 Two meeting or break out rooms each accommodating groups of 20 – 40 people located near the Ballroom. Equipped with 60” Monitor and built in buffet ideal for groups of 20-40 people. Ideal for group of 8-10 people conference style. Executive Chairs and a 50” Monitor are available in the Boardroom. Casual, brainstorming space with built in white-board, game table and lounge furniture able to accommodate up to 30-60 people. Situated on the corner of the upper level, with unobstructed views of the lake looking north and south. This unique room features a built in bar, large stone fireplace and separate areas that may be used for seating ideal for up to 140 people. 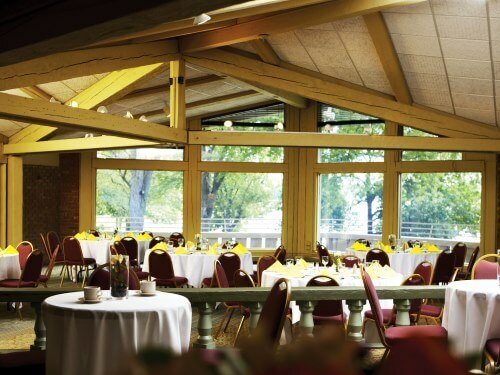 Unique meeting or event space with vaulted ceilings, a large stone fireplace and an adjoining area with views of Delavan Lake accommodating up to 130 people. Vaulted ceilings and windows overlooking Delavan Lake accommodating up to 225 people. Large pre-function area provides additional space for registration or receptions. Located on our lower level and has floor to ceiling windows with views of our shoreline along Delavan Lake and is ideal for up to 180 people with a small pre-function area. 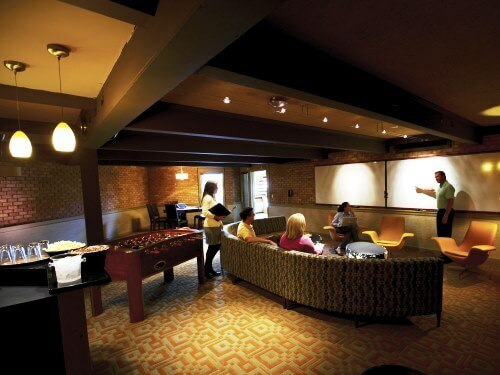 Two meeting or break out rooms each accommodating groups of 20 – 40 people located near the Wisconsin Room. 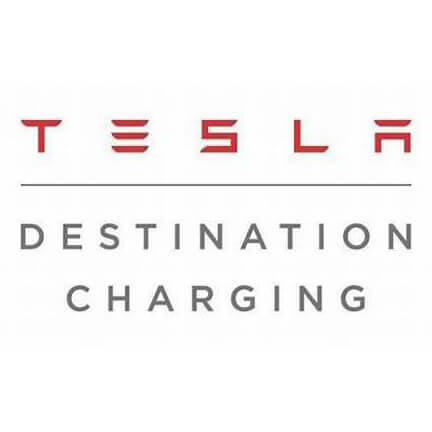 Located near the Geneva Ballroom and provides additional outdoor space for up to 200 people. This bricked courtyard area, with gas fire pit, also provides an intimate setting for small events. 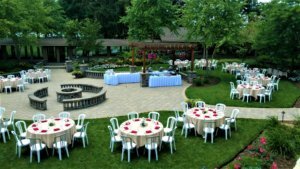 Near the Lake Lawn Room and the Geneva Club, this terrace compliments our indoor space by offering wonderful views of Delavan Lake and the grounds and can accommodate up to 225 people. 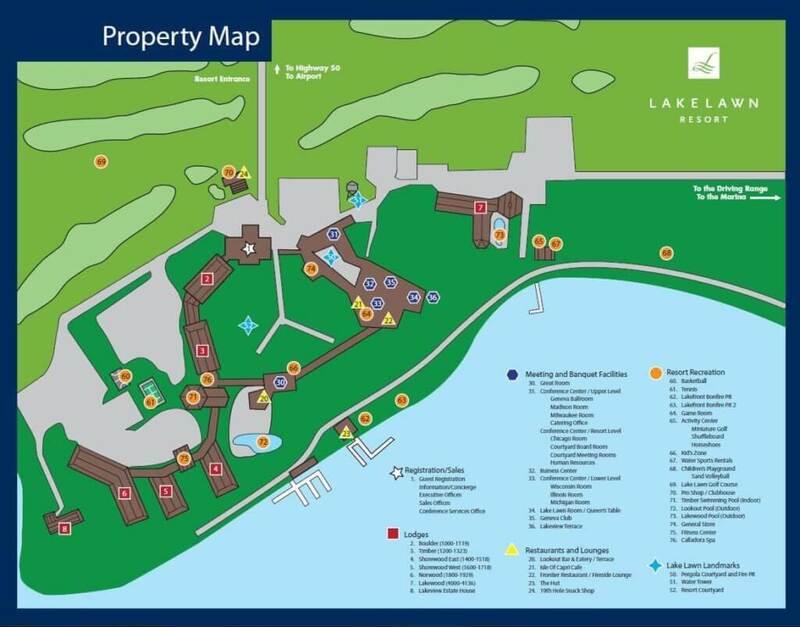 In addition to the above, we have the Inner Courtyard Lawn and Lakefront Lawn areas suited to accommodate any size group.